Solid ground...are we there yet? I was asked to present to a class of bachelor students at the University of Utrecht on my experiences with the Sustainable Development Goals (SDGs) as a development practitioner and academic. I got to share the stage with 3 very impressive presenters, and all of us came to a similar point that the challenge of the SDGs is how to operationalize them. How do we go from where we are to where we want to be? All these challenges are real, and the task at hand as presented by the SDGs is an impossible one. However, we must not lose hope. Without ambitious dreams we don’t reach beyond what we already know. I think I did a disservice to the class by focusing so much on what is holding us back, and not highlighting that we are still making progress, even as we make mistakes, and that we are applying and improving methodologies that should enable us to continuously improve the effectiveness of international development. What follows are a few thoughts that I wished I had shared more explicitly with the class. While we must recognize that the development policies and interventions we have at our disposal are limited and imperfect, and that we don’t always know the full consequences of using them, we should also recognize that we are not without agency. We now have decades if not centuries of experience in trying to build and improve the world in which we live. Through these often ad hoc and uncoordinated actions we have learned a great deal, even as we may have created new problems while trying to resolve old ones. We have learned many things that generally work, and perhaps just as importantly we have learned a great many things that almost never work. And while we still see incidences of truly catastrophic policies (e.g. Venezuela), even the most jaded analyst must recognize that humanity has made great leaps in tackling what was for most of our history our greatest threats: hunger, pestilence, and destitution. That we haven’t fully resolved these problems, or the fact that our solutions are proving to be unsustainable due to overuse of natural resources, should not detract from the fact that we have made incredible progress. This progress is evident not just by comparing changes over millennia, but also through changes observed after concentrated and coordinated efforts towards achieving the Millennium Development Goals. This should strengthen our resolve that progress is possible, even as it should humble us to recognize that it can be ephemeral and will almost certainly not be smooth. Progress is not self-sustaining, and it will require our continued attention and effort to see it continue. The field of research for development is at its heart trying to document current and past efforts towards the greater goal of sustainable development. To collect, document, organize, and share our best understanding of the world, and how our actions impact and change it. It works to analyze past assumptions against evidence, to find misconceptions and correct them, and to share the lessons learned in the hope of inoculating us from repeating past mistakes. My work has contributed to these efforts, by applying our current understanding of the macroeconomy to foresight. I have helped to build and improve computer simulation models that provide a framework to test our assumptions and biases in a transparent and systematic way. In conjunction with the the construction of scenarios of alternative futures, we can ask ourselves and others what would be the consequences of different events or actions, and test the interconnectivity of the complex socioeconomic, political, and environmental systems within which we act. These tools are illustrative and didactic as opposed to predictive. We cannot know the future, however, the doesn’t mean we can’t prepare for many different futures. These tools help to consider various ways in how the future could unfold, and whether our actions (policies, interventions, investments, etc.) are more, or less likely to be effective in achieving our desired outcomes. They suggest potential obstacles and challenges that we might not have originally considered, as well as suggesting potential positive and negative feedbacks, which could make problems more complicated to resolve. We have applied these tools to help policymakers to better understand the potential consequences of their policies of interest, as well as highlight policies that look particularly beneficial or negative. This work has often been at the direct request of policymakers who themselves are more than aware of the complexity of the world and are looking for tools to help them better engage with complexity and uncertainty. The tools are helpful in reminding us that not all goods things go together, and that progress will not be panglossian. As we progress on some fronts, we may take steps back on others. Foresight methodologies and tools help give us a sense of the types and magnitude of tradeoffs we may have to make as we try to achieve the SDGs. For example, efforts to prevent the conversion of land to agricultural purposes to prevent biodiversity loss and GHG emissions may make it more difficult to achieve the goal of zero hunger by reducing potential agricultural production, unless we layer additional interventions and investments to increase agricultural productivity. Of course, these subsequent investments may in fact be problematic for water quality and biodiversity if they involve heavy use of chemical inputs, and so on and so forth. While these tools cannot fully account for all the connections and complexity in the world, and ultimately are themselves in constant need of questioning and improvement, they are still helpful. They help us to operationalize complexity in a transparent, systematic, and manageable way. In so doing, they improve our understanding of how our actions may have broad and unexpected implications. They push us away from purely linear thinking to gain a better appreciation for non-linear effects (i.e. network effects, vicious and virtuous cycles, etc.). They also encourage us to think of sustainable development as a process; to recognize we will need to constantly calibrate our efforts in response to unexpected consequences and events. All of which is valuable in the development of more holistic and robust policies that try to maximize positive outcomes while minimizing negative ones in an uncertain and constantly changing world. It is also worth highlighting that the kind of system thinking encouraged by these tools does not require the use of advanced mathematical models. There are many ways to incorporate more holistic and systems thinking into policymaking, something that was quite evident from the very insightful questions that were raised by the class. In fact, I am heartened by the depth of some of the questions asked, as it suggests that we will continue plugging away at the great challenges confronting us. Despite not quite lasting a decade in DC, it is the longest I’ve lived anywhere since leaving my parent’s home. I came with the goal of getting my Master’s degree in International Development. I was fresh off more than 3 years with the Peace Corps in Bolivia, and I knew I had a lot to learn, and wanted to learn it quickly so I could return to Latin America. There’s a saying about the plans of mice and men, or something like that. I had never intended to make DC my home, but that is definitely what it became. I really like DC as a city. From its wide avenues, to its tree covered Georgian and Victorian neighborhoods, to the many hidden cultural, historical, and culinary gems, to yes, the museums. DC is a great city to live in. When I arrived, I figured I wasn’t going to stay long in DC, and so, I went all out and tried to explore DC and the surrounding areas to the fullest. I set myself the goal of exploring some new aspect of the city each week, and amazingly enough more than 9 years later I didn’t get to all the places I wanted to see. I still want to visit the National Museum of Women in the Arts, the Kenilworth Aquatic Gardens, the city boundary posts, Great Falls, and Assateague Island. Luckily, I will be coming back from time to time, so my exploration of this great city will slow down but won’t necessarily end. As the above lists can attest to, there are a lot of amazing things to do and see in DC; it is a city that won’t disappoint the visitor. It is home to some of the country’s best and most egalitarian museums, most of which are free to the public, even if their opening hours cater more to the tourist than to the local. But, being a great tourist destination doesn’t on its own make a city a great place to live. That instead is created by its neighborhoods, the energy of the people who inhabit the city, and the events that shape and mold them all into communities. Collectively DC can give off a younger sibling vibe, often reacting a bit too defensively when being compared to New York, which is a shame. New York is undoubtedly one of the world’s great cities. However, DC is great in its own right, and brings with it its own unique blend of culture and history. For the first half century of its existence, DC more or less lived out the vision of the founding fathers, as it continued to be a backwater, whose only national significance was that it hosted the federal government. DC’s importance as a major urban and economic center really began during the Civil War. Managing the war machine necessary to win the war required the federal government to dramatically expanded its size and scope, bringing thousands of new residents to the city, many of which stayed after the conclusion of the war. DC was also a popular destination for African Americans escaping from slavery and violence in the south. Once expanded from its initial backwater state, DC would continue to grow in fits and spurts. Today, DC is definitely in a new expansionary period, with cranes across the city highlighting the rapid expansion, renovation, and renewal, as can be shown with DC ranking 6th in the country for most construction cranes. All vibrant cities are transient, as new influxes of people bring new ideas and energy, fueling the creativity and excitement that gives the city life. DC, I think punches above its weight (city population is less than 700K, total metro area is around 5 million) in large part because it is more transient than most cities. DC in addition to being a capital is a university town, or perhaps better to say a town of universities. DC is home to many fine institutions of higher learning including Georgetown, American University, George Washington University, Catholic University, as well as branches of a great many others. Combined with the ebb and flow of national and international politics there is an almost constant renewal of the city as waves of new young professionals try to conquer DC (#7 on Forbes List of Best Cities for Young Professionals). And as each new wave recedes it make room for the next. It is remarkable, because in certain neighborhoods of DC it can be difficult to find any born and raised Washingtonians. This transience is both exhilarating and exhausting. The constant opportunity to meet new people, make new friends from all over the country and world is great. Although it is also pared with the knowledge that if you stay long enough you will end up saying goodbye to many of these friends as they are pulled out of DC. Working in the international field, I probably have felt this more than the average Washingtonian, but I suspect that many of my fellow residents have felt this bittersweet experience. During my time in DC, I have transitioned through at least 3 different friend cohorts, as I transitioned from friends from peace corps and grad school to more friends from work. Each group of friends have made a major impact on my way of experiencing the city and my life in general. The rest of this post will be a (hopefully) brief narrative of these transitions with plenty of thanks for the many great friends and colleagues who have made my time in DC so special. In the summer of 2008, I arrived in DC to a pre-formed group of friends, with many of my friends from Peace Corps already living in the city, which made for a quick social acclimation. Through them (in particularly thanks to Geoff and Jenny) I got to know the Glover Park area, and to a lesser extent Southwest Waterfront (Natasha), and Columbia Heights. To be close to school I rented a room in a large house in DuPont Circle. With graduate studies taking up a lot of my time, my exploration of the city in the first two years was almost entirely focused on the more affluent NW quadrant of the city with only brief explorations to the other 3 quadrants. 2008 was a big year for me personally in that I finished Peace Corps, moved to DC, and started grad school at SAIS. It was a year of transition not only for me, but for the country and city. 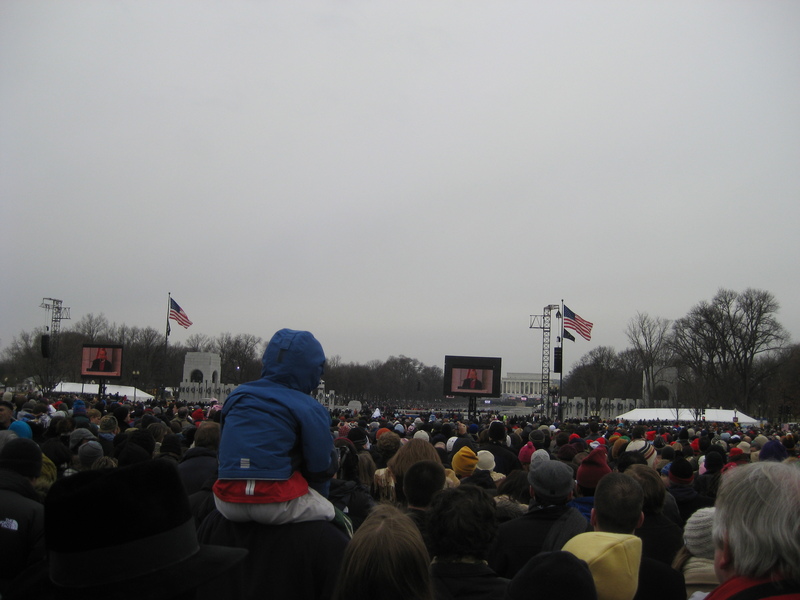 2008 saw the election of Barack Obama to the presidency, and I got to witness this historical event from the very center of the nation’s capital. On November 4, 2008, DC exploded in the kind of city-wide celebration usually reserved for winning a World Cup. The excitement, and effervescent optimism was palpable throughout the city, as people believed they were witnessing a historically inflection point with the election of the country’s first African American president. 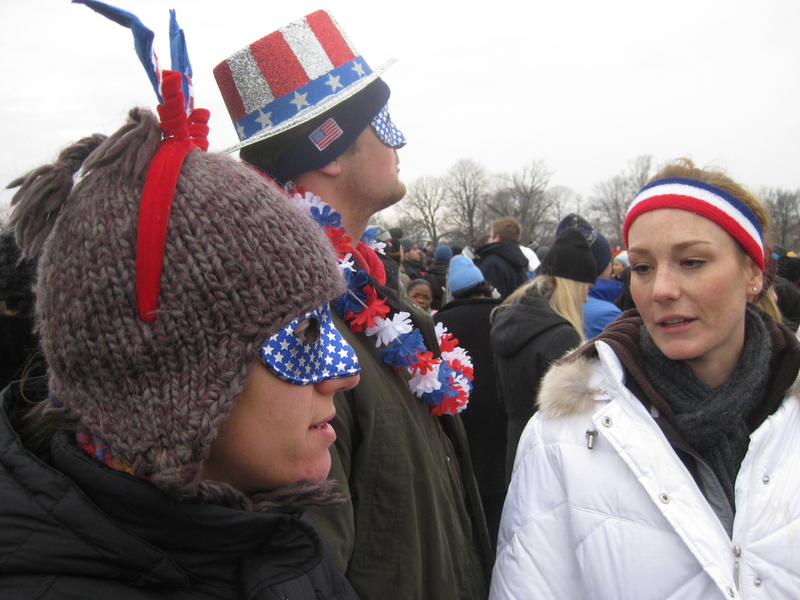 A few months later, on January 20, 2009 in the freezing cold, standing alongside 1.8 million other people, I got to listen to Obama’s first inaugural address. There were so many people on the mall that day that I was closer to the Lincoln Memorial than I was to the capital. No bother, with big screen TVs and speakers I was more than able to follow along. The excitement from this election would continue to be felt through 2009, although they would be tempered by the very somber economic situation the country was in (Great Recession), the bruising political battles in passing the Affordable Care act, and the generally, unrealistic expectations of liberal supporters inspired by Obama’s electrifying election campaign. Returning to my personal narrative, I continued working through my graduate studies, while juggling several part time jobs, and maintaining a long-distance relationship, which would culminate in marriage to my wonderful wife Ximena in May 2009 (the courtship and wedding, are not so much a part of my DC story as they are of my Bolivian stories, but no worries Ximena will be making her appearance in this narrative a bit later). 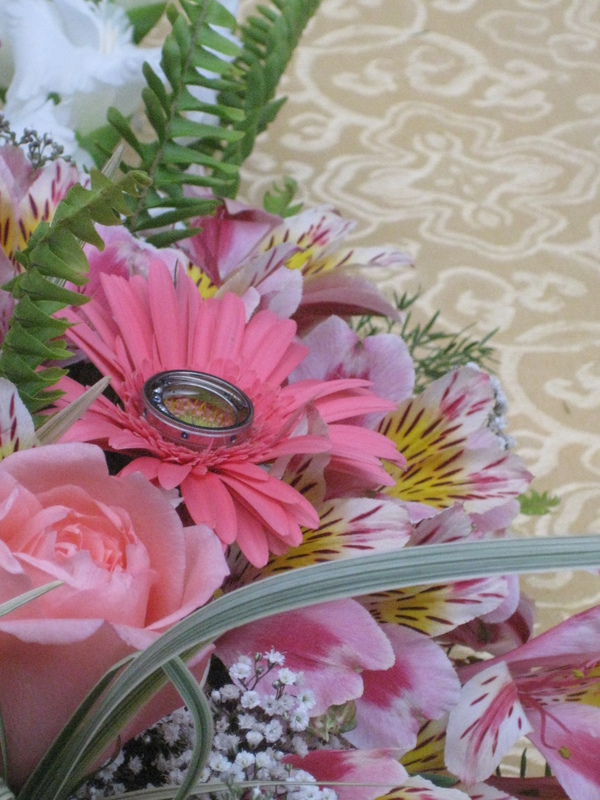 This would be the first of two weddings, sandwiching my second year of grad school. To get a leg up on the ridiculously long visa process, we decided to tie the knot legally, so Ximena could join me in the states after graduating. I knew the US immigration system was broken, but until going through the visa process, I didn’t realize what a complete asinine cluster f&%# it truly was. The experience of getting Ximena’s visa falls in sharp contrast with the ease of immigrating to Australia. I won’t go much into the details now, but I may dedicate a whole post comparing the two experiences. Needless to say, my experience with the visa process in the US was bumpy. The rest of 2009 and the first half of 2010 was really a build up to the next chapter of my DC experience. 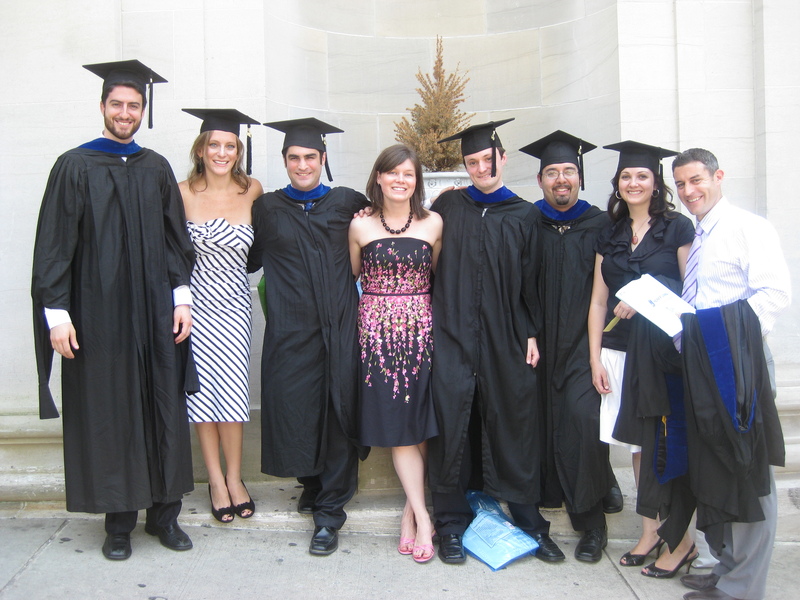 In May 2010, I graduated from SAIS, finishing up 2 fantastic years of learning, and where I got to meet many incredible and impressive people. While 2010, was not as bad economically as 2009, it was still not a great time to be looking for work while having a nice pile of student loans to start paying off. So, I didn’t have a lot of time to take in this achievement as I needed to find a job to start paying off student loans. But before I could start the job search in earnest, it was time to return to Bolivia for the religious wedding ceremony. The idea originally had been to return to DC with Ximena, but US immigration didn’t cooperate, and I returned to DC to find a job while we crawled through the last stages. During these months of semi-unemployment, I lived a fairly nomadic life couch surfing with various friends, while I tried to find a job that would allow me to get my life started in DC. Wait, life in DC? Weren’t you heading back to Latin America? Well…yeah, about that, a mountain of student debts denominated in US$ makes it pretty hard to take on many entry-level positions in the development field abroad. While I looked at some interesting opportunities in Peru and Haiti, the financial reality was that I needed to stick around at least a couple years more to bring down my student loans to a more manageable level. During this nomadic interlude, I stayed all over the greater DC area spending time in Southwest Waterfront (thanks Natasha), Mt. Vernon (thanks Anita), Columbia Heights (thanks Elke), Reston (thanks Carrie), and Mt. Rainier (thanks Samantha). Samantha in particular deserves a giant thank you, having not only let me share her home with her son, but helped me with a job opportunity. I wouldn’t stay long at that first job, as a series of seemingly random connections would set me on course to join IFPRI, but at the time it felt very much like a life-line. By the end of 2010, this transition phase ended. I had joined IFPRI where I would work until just a couple weeks ago. Ximena and I had found an apartment in Capitol Hill in NE DC, and were finally living together. While it would be a lie to say that nothing changed, it is fair to say that over the next couple years we settled into Capitol Hill, expanding my knowledge of DC greatly by exploring the NE and SE quadrants of the city. Where once DuPont Circle had been my load star, now Eastern Market, H St. and Union Station were my main points of reference. The national mall felt like our backyard, and we would explore DC’s museums on a pretty regular basis. We also started getting our first visitors, giving us the opportunity to share DC with family and friends. It was also during this time, where I started to experience firsthand the transience of DC, as friends I had made in grad school, as well as peace corps, started to leave, finding new opportunities and challenges outside of DC. It took some time to absorb these changes, but I started noticing more and more that my social circles had shifted geographical to Northeast (shout out to Carrie, Steve, and Animal) and Southeast DC (hey hey Shahnila, Estefania and Matt) and had a much more of an IFPRI-flavor. Nevertheless, in many ways the most interesting milestones during these years are Ximena’s to tell and not mine. But getting to see her succeed in each new stage was extremely gratifying, as I witnessed her work hard to culturally acclimate to DC, learn English, become a U.S. citizen, pursue a master’s degree, and restart her career as an international tourism consultant, all while building a completely new set of friends. She consistently amazes me with her strength of character, and willingness to take on each new challenge. I am grateful to her, not only that she agreed to share her life with me, but that she was willing to uproot her own life, leaving behind family, friends, and everything that she knew. That was and is a huge risk, and I am thankful every day, that she was willing to take a bet on us. There were a couple close calls with us leaving DC, but by the end of 2015, I had paid off my student loans and it felt like we were going to stick around for a while, and we made the momentous decision to start looking to buy a place. Hindsight 20/20, if we had known then that only a couple more years I’d be writing this while drinking a glass of wine overlooking a pool in Brisbane, Australia, we wouldn’t have made that decision. Nevertheless, it felt like the right thing to do, and certainly continued our slow progression to full adulthood (not that we were going through a checklist or anything 😉). Anyway 2016 was another one of those important years that presage another period of transition. I followed up a couple of major publications in 2015 (ahem Lancet, thanks Marco), with my first 1st authored paper in Environmental Modeling Software. We bought a very nice 2-bedroom apartment near the Trinidad neighborhood, pushing our center of gravity a bit further from the center of the city, and in so doing we really became familiar with new parts of NE DC we hadn’t had a chance to explore previously. With the extra room we were able to host friends and family more comfortably. 2016, was also the first U.S. election year in which Ximena could participate. 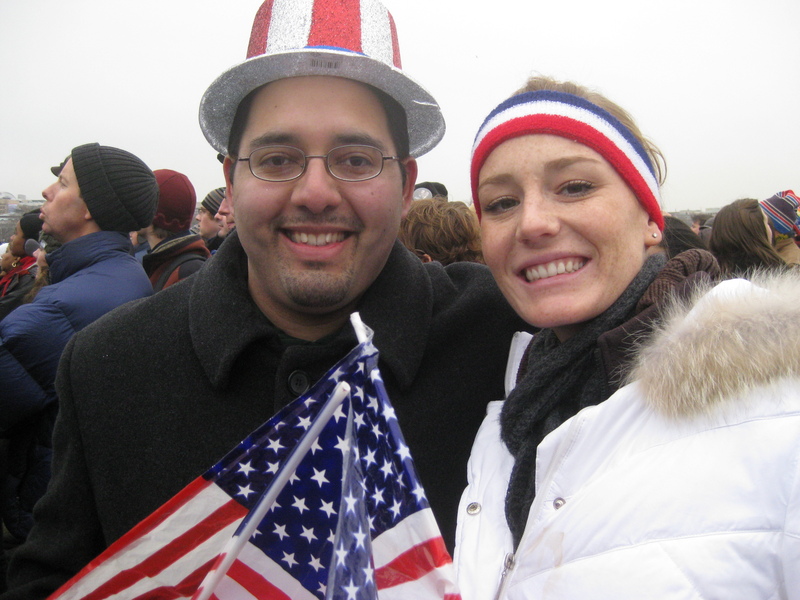 Ximena, had been a permanent resident in 2012, and while we went back to the mall to see Obama’s second inaugural address, she didn’t get to participate in the democratic process. In 2016, she was raring to go, and we were pretty excited to vote for Hilary Clinton, and to bear witness to another historic event. Sadly, things didn’t quite go the way we hoped. And to me election night and the day after was polar opposite effect 2008, not only in the whiplash like change from Obama to Trump, but in the city’s reaction. In 2008, the city was electrified, energized, and effusive (how’s that for alliteration). And 2016 election night, was stunned, horrified silence. If I were pressed to describe the feeling of the city, I’d say the city was borderline suicidal. Surprises though didn’t end on election night, as I got contacted by a couple of very interesting job opportunities, that would potentially pull us out of DC’s gravitational pull, and ultimately one of the offers did just that. Convincing us that while we love DC and our time in DC, it was time to flip the page to a new chapter and explore a whole new part of the world. My hope is that we will have a great time living and experiencing Brisbane, and all that Australia has to offer. Still, I think that deep down in our hearts, we will always have some DC in us. DC was our first home as a married couple and it is the home of so many of our dearest friends. Part of me hopes that in the twists and turns of life, we will have an opportunity to return once more to the city, and get to experience it anew, once it has itself been changes and reshaped behind the many waves of new residents who will have come in our wake. But if that doesn’t occur, we will definitely have very fond memories of our time in this great city. It has been too long since I last wrote a blog post, and it seems like a move across the globe to Australia is a good reason to try to put some thoughts down. I wish I could say that I will be sufficiently disciplined to keep up a regular blog output, but I am not a strong believer in making unrealistic new year resolutions, so instead I am going to commit to a short series of blog posts on this major transition, and if the habit sticks great, and if not, hopefully I can manage a bit more blogging activity in 2018. I chose the title Caminante as the title of this series of posts in honor of one of my favorite poems “Caminante, no hay camino” by Antonio Machado. the path is made on the move. will set foot upon again. only wake-trails in the sea. I have always felt nomadic at heart, and I suspect that this is why this poem calls to me. As I am soon to be moving once more, and blazing a new trail in a new continent, it seems like an apt title for this series of blog posts. My initial thoughts is that this series of blog posts will end up consisting of 3-6 posts, with a couple reflecting on my time in DC, and then a few more forward looking posts on my initial experiences in Australia. But it may end up longer once I get into writing.